Andun provides design support for crane platforms for projects across the UK and overseas. 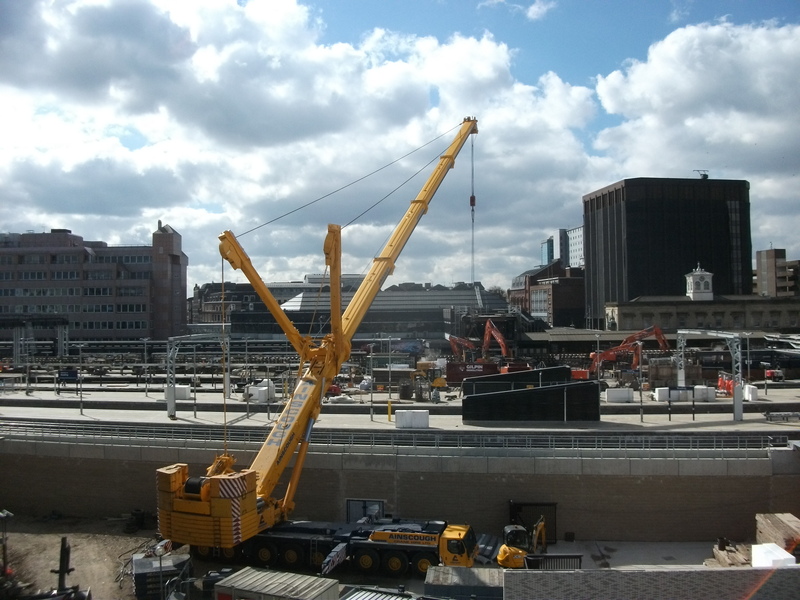 We have designed crane positions for mobile cranes up to 1500 tonne, and crawler crane positions up to 1200 tonne. Andun have experience in the design of floating platforms for cranes, including a 250 tonne crane barge for use in the Cromarty Firth in Scotland. We have designed crane platforms to suit many differing ground conditions and topographies. Crane platforms must be designed and positioned with due regard to the site constraints. This can include requirements for checks on slope stability, pressure on services and buried assets, and lateral earth pressures on retaining assets such as sheet pile walls. An example of crane platform design would be as part of the works at Manor Park for LOCROS. 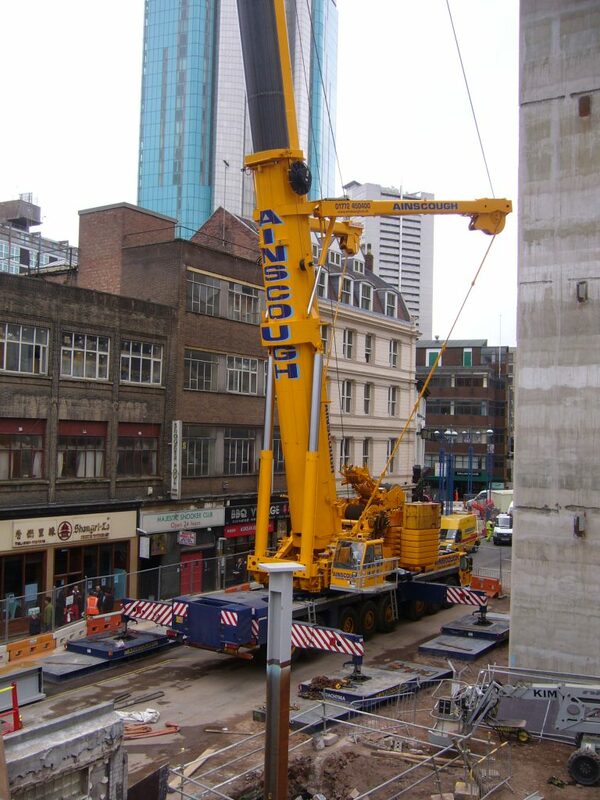 A 500 tonne crane had to be positioned on a very restrictive site, behind a masonry retaining wall. The solution proposed by Andun was to place two of the outriggers directly on the masonry wall. The additional axial load applied to the wall stabilises the wall, thereby improving the stability of the wall. The design was independently cat iii checked, and the works were successfully undertaken from this position. A more traditional example would be our works on the Great Western Mainline Electrification. Have a project that requires crane platform design?